They are very professional and got the work done on time if not before their promised scheduled completion date. They are speedy, competent and trustworthy. I called a few plumbers before and always had bad experiences with their service. Also, I know the owner as a friend so I am sure that helped when it came to the extra service as far as quality is concerned. But honestly, they do great work friendship or not. They are friendly, on time, and they did a great job on the project they did for me. They have a prompt and reliable service. They came when they promised, they took care of my issue, and it was very much to my satisfaction. 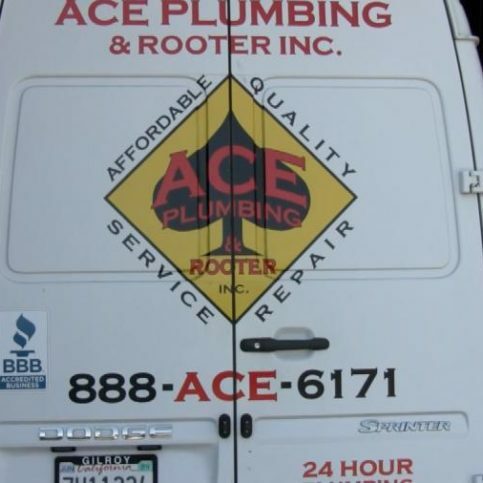 Ace Plumbing and Rooter provides a variety of general plumbing services for residential and commercial clients in San Francisco and its surrounding communities. 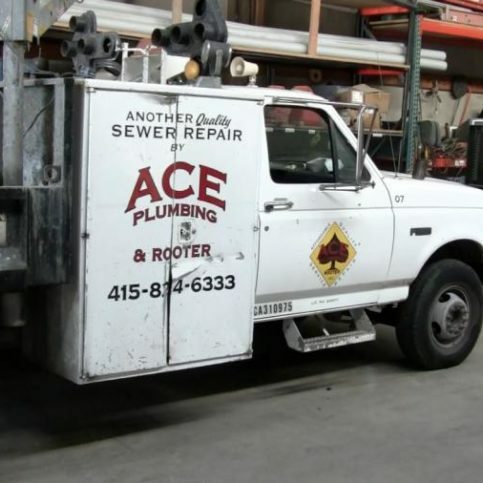 In addition to fixing water heaters, toilets, garbage disposals and other plumbing systems, Ace provides video sewer inspections, sewer line repairs, trenchless sewer installations, backflow testing, leak detection and more. The company also offers prepurchase home inspections of residential plumbing systems and prepares preventative maintenance plans for restaurants and other commercial establishments. 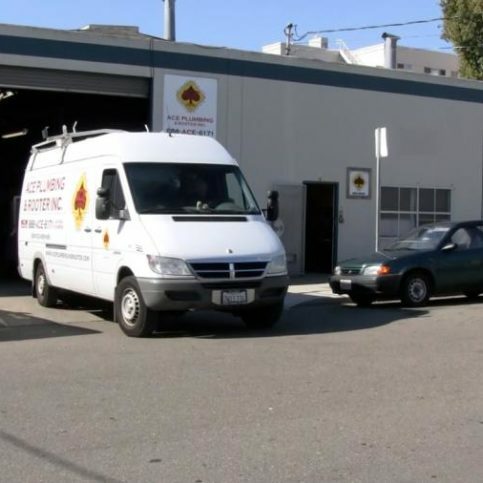 Owner Jonathan Millington and his crew have decades of experience in all areas of plumbing service and repair. Mr. Millington takes great pride in exceeding the expectations of his customers by providing quality services at fair prices. “We’re a service-oriented company, and more than 75 percent of our business comes from repeat clients, so we’re absolutely committed to upholding our values for doing excellent work and using high-quality equipment,” he says. Ace Plumbing and Rooter offers an exclusive online coupon that gives new customers a 10 percent discount for first-time service. 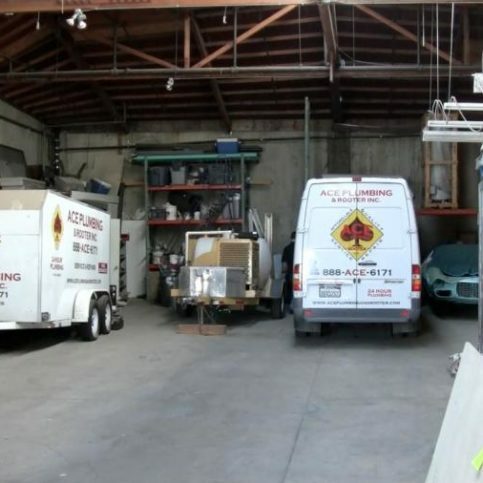 Mr. Millington invites potential clients to visit www.aceplumbingandrooter.com to learn more. 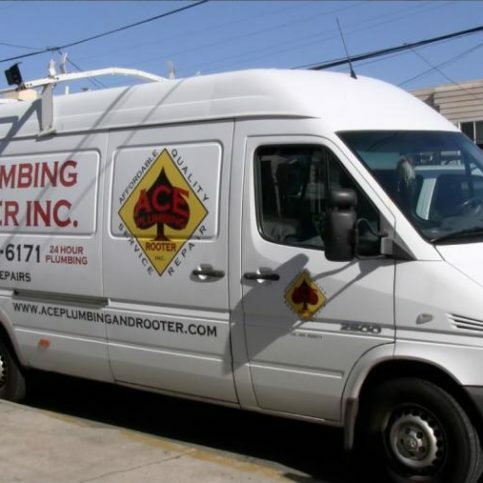 Ace Plumbing and Rooter has been providing a wide range of general plumbing services for residential and commercial clients throughout San Francisco since 2002. The company takes pride in staying up-to-date with the latest industry technology, incorporating forensic methods such as video sewer inspections and installing eco-friendly systems such as trenchless sewers and tankless water heaters. It also performs pre-purchase inspections of residential plumbing systems and prepares preventative maintenance plans for restaurants and other commercial establishments. • Routinely check under sinks and around toilets for moisture or small leaks. Test your toilet for leakage by adding a small amount of red food coloring to the tank and returning in a few hours to check it. If the water is colored red, water is seeping through from the tank, which usually means you need to replace the tank ball. • Drain about a gallon of water from your water heater tank every three months to help remove the sediment that accumulates on the bottom. Also, periodically inspect your water heater burner—the flame should be colored blue with yellow tips. If it’s mostly yellow or the area is sooty, your flue may be clogged, which is a dangerous situation. • To help prevent clogged bathtub drains, fit them with a strainer that catches hair and soap chips. Clean these strainers regularly. • Don’t rinse fats or cooking oils down your kitchen sink. Liquid fats can solidify in the cold pipes and create clogs. • Always try to manually clear drains using a pipe snake or other instrument. Chemical cleaning agents should only be used as a last resort. If you have to use them, make sure you follow the directions carefully to avoid potential hazards. • You can maximize the lifespan of your garbage disposal by using cold water when running it, making sure not to overload it, never disposing of things like bones or corn husks, and avoiding using caustic drain cleaners. • Have stainless steel braided hoses installed on your washing machine. The traditional black rubber hoses found on washing machines are notorious for unexpectedly bursting—usually when no one is at home—and causing massive leaks of up to five gallons per minute. In an emergency situation, this valve will shut off the water to your entire house. Make sure you close and open your shut-off valve periodically to ensure it’s not stuck in the “open” position. If you’re leaving your home for a few days or more, shut off your water main to prevent any damage if a leak occurs while you’re away. A: We give free estimates, but we try not to quote anything over the phone. If we tell you a repair is $100 over the phone and it ends up costing $300, it’s bad for everyone involved. There are a lot of variables to consider when estimating a job, including size and access issues, so we really need to come out and look at the problem. We will, however, happily schedule a free estimate for you during normal business hours. Q: Do I need to immediately fix my toilet if it’s running? A: In addition to wasting water, letting a toilet run can turn a small problem into a bad situation, so you should definitely get it fixed as soon as possible. It’s a minimal amount of water in terms of billing costs, but the potential for the drain to back up and cause a flood is very concerning. A: Forensic plumbing is a method for dealing with plumbing problems that aren’t immediately obvious, like moisture and leak issues. It requires investigation and the use of special equipment such as listening devices, which allow us to find leaks in walls, floor or concrete. You can call a regular plumber if you have a leaky faucet or toilet, but if you have a leak coming through your wall and can’t find the source, you should call a forensic plumber. Q: How can I extend the life of my water heater? A: Having the rust flushed out once a year will help. Rust is inevitable when it comes to water heaters, but you can deal with it by installing an anode rod—it works by attracting rust and giving it a place to accumulate other than the tank. This nearly doubles the life of the water heater, because you just have to change the anode rod instead of the whole tank. Also, check the water pressure; if it’s too high, install a valve that will regulate it. If your house has excessive water pressure, it can reduce your water heater’s lifespan by as much as half. Q: What are the benefits of tankless water heaters? A: Unlike traditional water heaters, tankless water heaters only heat water when you need it, which allows for an unlimited supply of hot water. They’re very beneficial if your plumbing is set up correctly. The initial cost is higher than normal because it’s a specialized installation, but you’ll definitely save money in the long run. 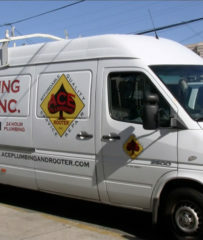 Jonathan Millington is owner of Ace Plumbing and Rooter, a Diamond Certified company. He can be reached at (415) 523-0012 or by email. After getting a handle on the technical side of plumbing, Jonathan went to work for another company, where he gained insight on the service side. “After working in the field for a while, I was promoted to service manager and basically ran the business for the owner,” he recounts. “However, I didn’t agree with the way he handled customer service. This was back when most people used the Yellow Pages to find companies, and since he had a prominent ad there, he didn’t care whether customers were happy or came back. To me, it made more sense to invest in good service and build a loyal customer base. Not only would your customers be happy, you wouldn’t have to spend as much on advertising because of the repeat business.” Eventually, Jonathan decided the best way to implement his ideas was to start his own business, which he did in 2002. A: Colombia. I’ve done a fair bit of traveling, but that’s one place I still haven’t seen. A: I’m more of a night owl, but due to the nature of my business, I have to be an early bird. Things tend to start pretty early in the plumbing business. A: Mainly souvenirs from traveling. My fireplace mantle is covered with odd trinkets I’ve brought back from all over the world. A: Christmas, because it’s all about the kids. Most people know how important the sewer system is to a home’s functionality, which is reason enough to have it inspected before purchasing. What’s more, sewer line problems can be expensive to fix, with major repair projects often falling into the $5,000 to $10,000 range. Considering the potential expense, it’s certainly worth paying a couple hundred dollars to verify the sewer system’s condition before you buy. Sewer system inspections are simple to perform thanks to today’s in-line video technology. Most plumbers have access to this technology, which allows them to inspect the integrity of a sewer line without the need for excavation. If a major problem is found, you’ll not only be spared an expensive surprise, you’ll also have some additional bargaining power when negotiating the property’s final sale price. I highly recommend video inspection when purchasing a home to show you the quality of the sewer line and warn you of any upcoming expenses. When purchasing a home I highly recommend having your sewer inspected. 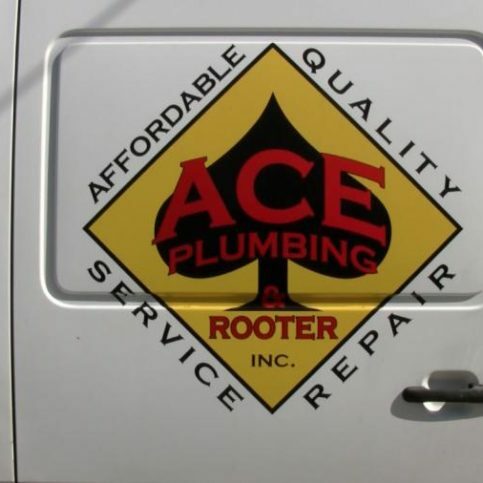 Ace Plumbing and Rooter : Average 8.9 out of 10 based on 185 unique customer surveys of customer satisfaction. They were prompt and reasonably priced. I would say the pricing. They are very responsive and quick to resolve various issues. I think they have really great customer service. Nothing in general comes to mind. The job got done, I like the worker they sent out. They are very honest, kind and helpful. They have very fair pricing and are honest. They provide great service and good prices. I would say that they are thorough and professional. They were prompt and showed up when they would. The cost was exactly as the estimate was quoted. I am very happy. They were reliable and quick. The service guy was honest. They are prompt and explain everything to you. Like I said, they explained everything to me and I was very happy with the service. They are honest and professional. Price point, they are fair and competitive. They deliver quality service and at a fair price. They were courteous and friendly to work with. They are always on time and efficient. I like that they are reliable. They are very reliable and very professional and do a good job. They were able to come out on a weekend call quickly. They solved the problem on the first service visit. They're very responsive, they do what needs to be done, and they give you a variety of options. For me, they are very reliable, they come out very quickly, and they get the job done. I have had nothing but good experiences dealing with them. They come in a prompt manner, and they've always taken care of the problem. I like that I can actually request Shawn as often as I like to come out for my service calls.